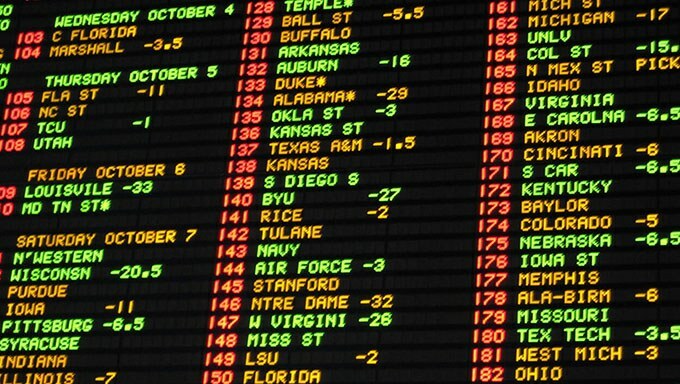 Accumulators are incredibly popular across all sports and markets, but how much do you really understand about the tactics involved? The benefits of playing a 'pure' system are that it usually requires only a basic analysis, and that consistently applying the same rules makes it easy to spot whether the system is working or not. In theory, any identifiable trend (or trends) can become an accumulator system. So don't be afraid to try new things. Once you feel a system is paying off, there are ways in which you can tweak it. The most popular is padding out accumulators with someone you're certain will win ('dead certs') regardless of whether they fit the system. These are players/teams which all the stats show are absolutely nailed-on certainties to win. They are also invariably priced accordingly. For example, if someone was backing underdogs at home in the Premier League, it would have been tempting to pad the accumulator out by backing Liverpool to win away at Cardiff on 22 March 2014 at 2/5, to push up the overall odds of an accumulator. The danger is that there are no real certainties, and these low odds additions can become 'coupon busters' (losing bets that scupper lots of accumulators), so any deviation from strategy must be carefully calculated. There's also the added problem that it disrupts a long-term analysis of how well your underlying strategy is working. If you're considering dropping a broad brush strategy to factor in so-called dead certs, you may simply want to move on to selecting your accumulator entries based on a range of different trends. Where this improves on a straight system is that it allows for more factors to come into play, rather than focusing on a headline trend. The aim is to call as many key factors as possible in any given matchup, in order to identify and avoid (or cash in on) an unexpected result. If, however, you want to stick with a broad brush strategy but remain wary of other factors, it's worth considering a well-placed hedge bet. This means betting on an accumulator strategy as usual, but highlighting potential risks and placing a bet that will either mitigate your losses or, ideally, deliver wins whichever way the game goes. For example, any accumulators backing the favourites in the Aviva Premiership on the 29/30th March 2014 would have been flummoxed by Worcester's away win at Newcastle. However, hedging by backing Worcester to win at 21/10, with the same stake that was placed on the acca would have delivered a slim profit. A final thing to look for is special offers. These are particularly common in football accumulators, with Betfair Sports offering punters money back if one leg fails on a 5-fold (five bet) or more accumulator; while Paddy Power Sports boost odds for every leg you add to a 3-fold accumulator. Pick wisely, and your winning system becomes even more lucrative.